A sandbox game by Unknown Worlds that combines elements of action-adventure productions and RPGs. 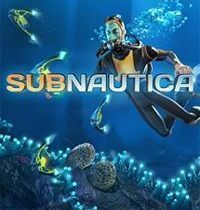 Subnautica is an underwater sandbox game that combines traits of action game, RPG and action-adventure game. The title was released for PC and XONE. It was developed by Unknown Worlds Entertainment, the creators of a well-received online shooter Natural Selection 2. The game takes place in a fictional world inspired by old adventure novels like Twenty Thousand Leagues Under the Sea written by Jules Verne. Numerous monsters inhabit the salt waters of the ocean, and at the bottom, the player can find the remains of futuristic buildings and ships. The players assume the role of a captain of a futuristic underwater vessel and are tasked with exploring the depts. The gameplay mechanics of Subnautica for PC and XONE are a cocktail of features from other genres, including RPGs, sandboxes and cinematic action games. The players are tasked with constructing submarines and then using them to explore the sea world. Each decision made during the construction impacts the feats of the machine – the player can decide the interior layout, materials used and types of devices available on the deck. At the beginning the players can only build primitive submarines – with small range and low durability. Later it is possible to construct more advanced units that enable discovering new, previously inaccessible regions of the ocean. During the game the players can freely travel through the deck and speak with crewmembers. It is also possible to leave the ship and explore the underwater world directly. The PC and XONE version of Subnautica is powered by an improved version of the popular Unity Engine. It features high quality, colorful graphics. The PC version of the game additionally supports virtual reality sets like Oculus Rift.